This week saw the School Commemoration service held in the Rose Theatre on Monday, the theme for which was innovation. Innovation can be defined as a new idea, action, method or process which is normally taken to be a step-forward to improved efficiency, success and outcomes. Over the years, KGS has taken a number of innovative steps. In his speech, the Head Master pointed to the introduction of the House system in 1914 by the then Head, Charles Howse, in 1914; to the admission of the first girls in 1978 as the School became co-educational for the first time, and to the construction of Queen Elizabeth II Building in 2004 which expanded the school by a third and added new classrooms, the theatre, music suites and improved Sixth Form facilities. School Captain Katie Orrell, meanwhile, talked about innovations in medical science such as advances made with stem-cell research and the potential benefits that this might bring, whilst members of the Gibbon Society debated whether innovation was always a positive thing and whether humans could be trusted to innovate responsibly. As a historian, I spend much of my time looking at the past with the students I teach, so it was fascinating for me to look back over recent innovations (over the past 65 years) and to consider what some of the most groundbreaking of them might have been. From the discovery of the polio vaccine in 1955 to the launch of the Telstar communications satellite in 1962, to Fibre Optics in 1970, barcodes in 1974, the launch of Microsoft Word in 1983, the advent of the World Wide Web in 1989, hybrid cars in 1997, the human genome project in 2003, the iPhone in 2007 and the advent of metal 3D printing in 2018, innovations have come thick and fast, changing all of our lives and often presenting new challenges as well as solving age-old problems. As Steve Jobs said when introducing the iPhone this, "changes everything". So what might the future hold in terms of innovations? Many readers will recall the BBC's Tomorrow's World which ran from 1965-2003 and charted what the future might look like and it is fascinating to look back and see where the predictions came true and where they did not. In homage to the programme and mindful of the theme of 'Innovation', I talked with some of our students here at KGS and asked them what they think we might see in the coming years. Highlighted below are some of things they mentioned and what I was able to find out about them. 5G technology is coming with the promise of faster, more reliable networks which have a greater capacity. Augmented Reality (AR) is also already with us, but it seems inevitable that this will continue to be developed and be increasingly utilised in the future both for entertainment and education. Just this week, Sir Anthony Seldon talked about robots replacing teachers in the classroom but as a historian I am most excited about the prospect of AR allowing students to 'step back in time' and experience simulations based in the past where they can see, smell and even touch their way through events. Artificial Intelligence (AI) is increasingly being utilised in the home and just recently Smart Speakers (Amazon Echo, Alexa, Google Home) was added to the list of goods that the government monitors in order to measure inflation. Lots of people are seeing the advent of smart technology in their homes, whether it be on their TV, their heating and lighting controls or their home security. But how long will it be before the smart fridge becomes commonplace in the home and works in tandem with your online grocery order so that food waste is minimised and you only ever buy what you really need? Just this week, Matt Hancock, the Health Secretary, has been talking about genetic testing with a suggestion that in the future, medical care may be more tailored towards individuals and their specific heightened genetic risk and pre-disposition towards, for example, heart disease. Doctors and healthcare professionals may therefore be more able to focus on patient wellbeing and preventive medicine (diet, exercise, lifestyle etc), with the ability to monitor patients remotely with using 'wearable' technology to track and report their condition. 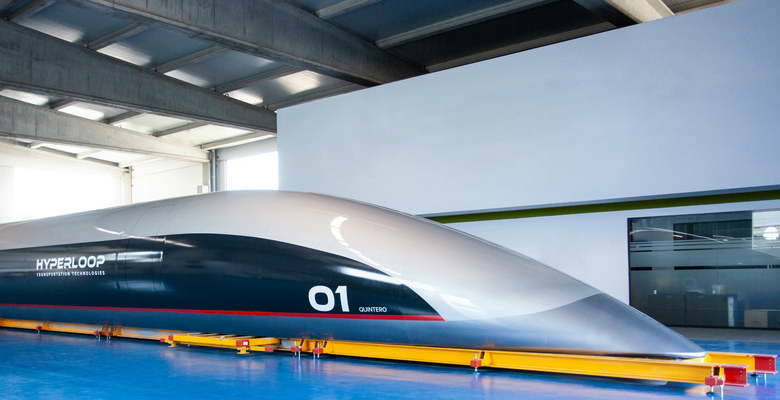 In transport, students envisaged mass automated high-speed travel systems like hyperloops, carrying passengers in trains travelling at up to 600mph and reducing the travel time across continents, effectively making the world a 'smaller' place. It was even envisaged that diets would change in order to help the environment with a shift towards meat-free protein alternatives to help reduce global carbon emissions. Whatever the future holds in terms of innovation, at KGS we are committed to ensuring that our students will have the opportunity and skills to make the most of the shifting landscape. This means trying to prepare them for the world not yet here by encouraging them to be creative, adaptable and resilient but also by allowing them to embrace some elements early and it is for this reason that our emphasis on STEAM (Science, Technology. Engineering, Art and Maths) is one of the most important innovations at the School in recent years.